Communal hallway with steps leading down to the ground floor, door to lobby and entrance to flat. 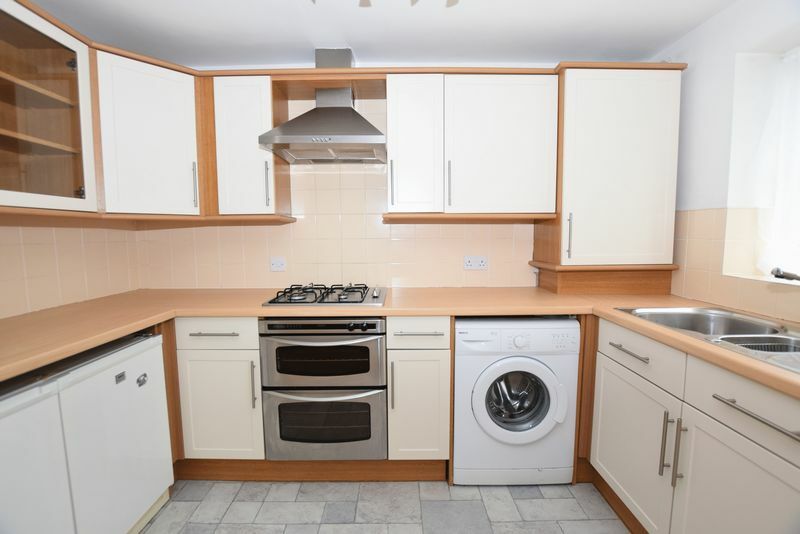 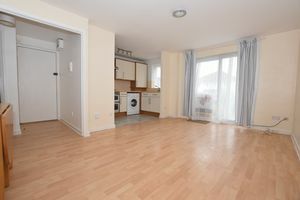 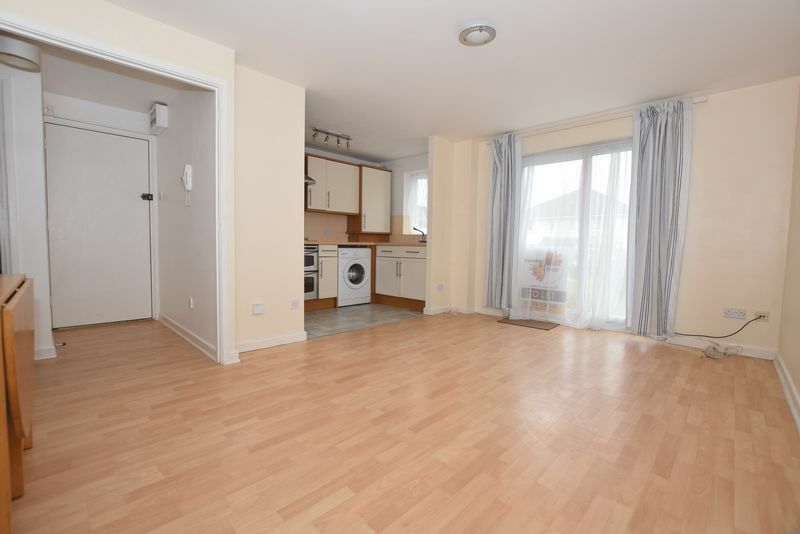 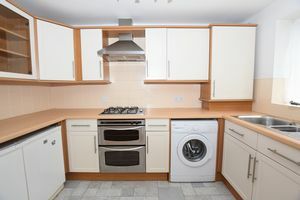 Laminate flooring to lounge area with sliding upvc patio doors to front of the property, Radiator, Kitchen area has lino to floor with a range of cream wall and base units, fitted stainless steel oven, gas hob with extractor fan over, washing machine fridge and freezer. 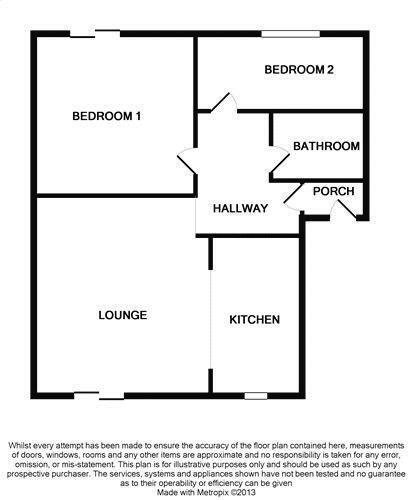 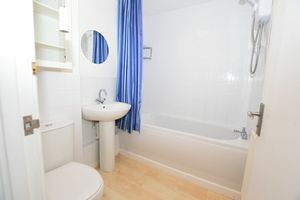 White fitted bathroom suite with shower over bath, wc and sink. Laminate fitted to flooring. 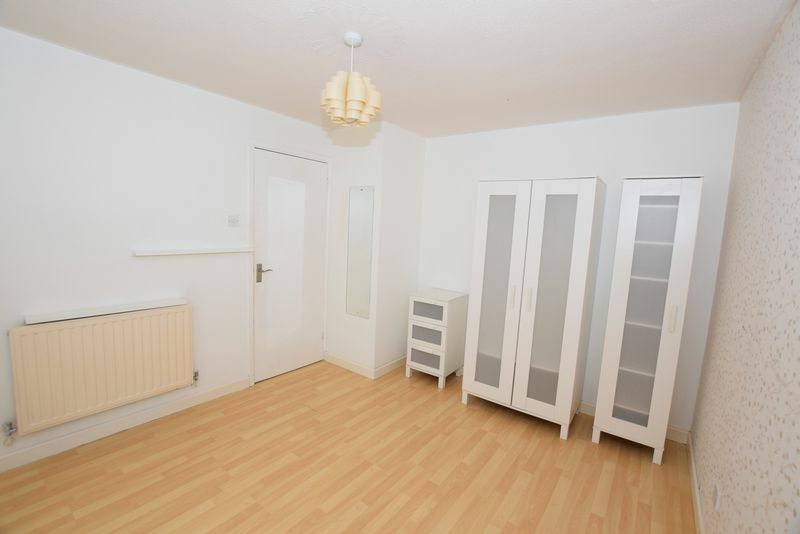 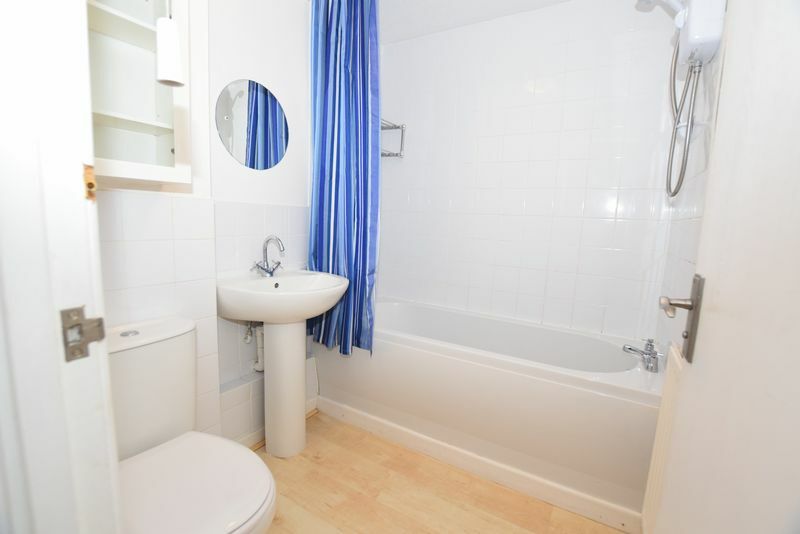 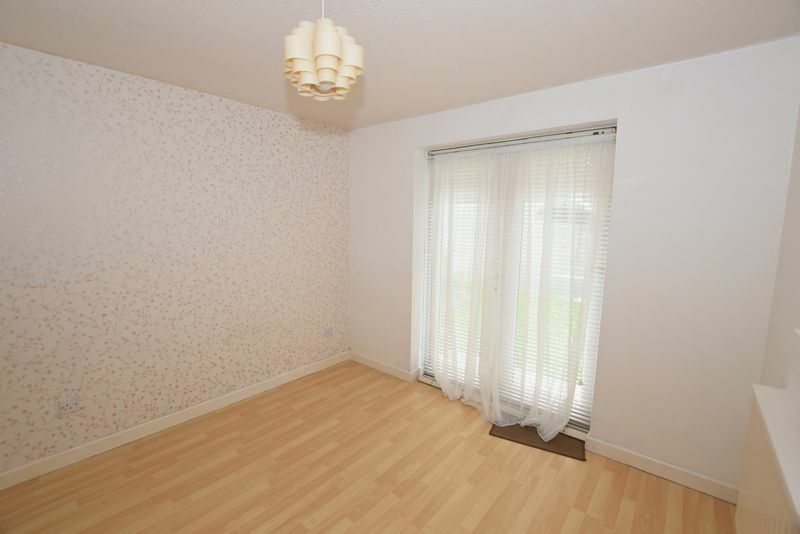 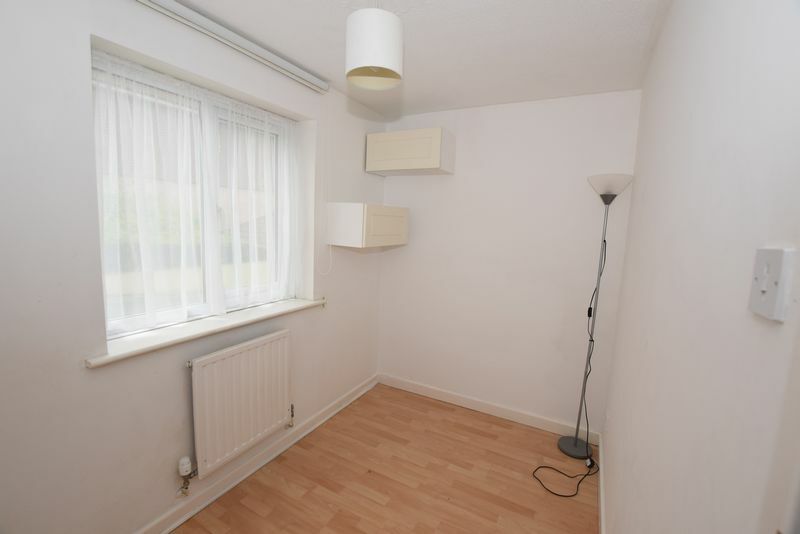 Double bedroom with laminate fitted to flooring, radiator, patio doors facing the rear of the property, range of wardrobes and side tables have been left by the landlord if tenants wish to use them. 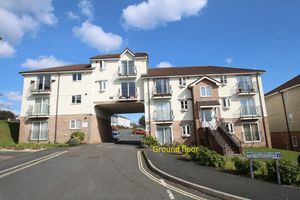 There are communal gardens to the front and rear of the property which tenants can enjoy but don't have to worry about the up keep At the rear of the building is the allocated parking space for the flat.